~ Sigourney Weaver, Empire Magazine, 2009. The character that would become Warrant Officer Ripley was at first known as Martin Roby. 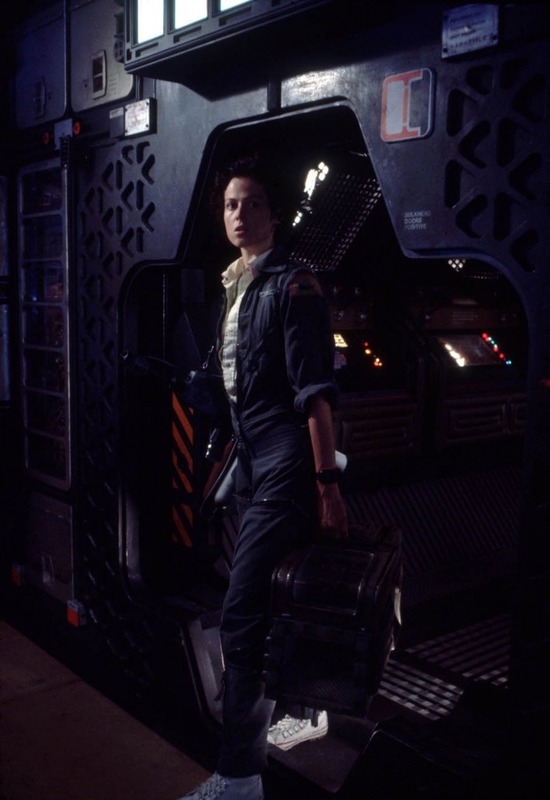 Roby is the ship’s Executive Officer, and is described in the script as being “cautious but intelligent – a survivor,” which shows no real marked difference from the Ripley we know. Many of his scenes are carried over to the final movie. He refuses to allow the others back on board when they return from the pyramid/silo; is suspicious of the facehugger’s prolonged presence on the ship even when his crew-mates have relaxed somewhat after leaving the planetoid; and he ultimately takes the lead and survives the Alien’s onslaught along with the ship’s cat. 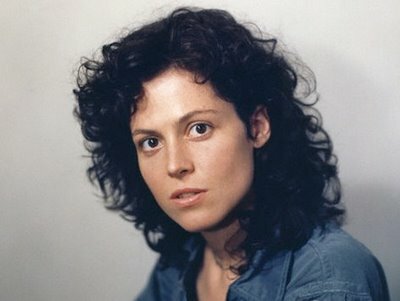 The change from O’Bannon’s Roby to the film’s Ripley (named “after Believe It Or Not,” revealed Hill) was not immediate. Alien as we know it did not spring forth, fully formed, like Athena, but was instead the product of writing and rewriting, giving and taking, cutting and recutting, over a period of a couple of years (in fact, the final revised script, which you can read online, was not the shooting draft, but was cobbled together in December 1978, after principal photography had concluded.) 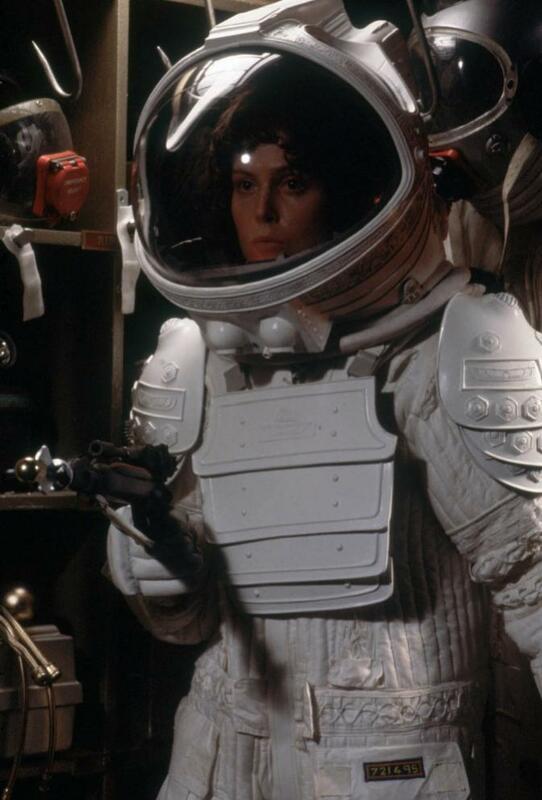 Though Giler and Hill rewrote O’Bannon’s script after snapping it up, Twentieth Century Fox did not greenlight a version of Alien where the lead was female – in fact, the character was still a male even when Ridley Scott came aboard in early 1978. In May 2012, Ridley told Empire magazine that “I never changed a word” of Alien’s script when he came aboard – his memory may have failed him, as the script went through some monumental and very well known and publicised changes, including the removal of the pyramid (“a see-saw debate when I came on to the project”), the removal (and later reinsertion) of the Space Jockey, the insertion of a government installation on the planetoid, the removal of this latter element, the change of Ripley’s gender, and so forth. Writing-wise, the transition from male to female lead was not all that difficult for Giler and Hill; in fact, they relegated the task to their typist: “We really just had the secretary change ‘he’ to ‘she,'” admitted Giler. ~ Walter Hill, Film International, 2004. ~ Sigourney Weaver, Total Film, 2006. When is this quote from? I read Ridley saying something similar regarding his irritating concept for making the star of his surely to be childhood molesting BR ripoff/remake/sequel a woman. (After all the unfortunately derailed Ridley projects that never were, this is where we actually need unlucky circumstances to intercede the most! It kinda sounds more like recent Ridley’s taste for revisionism and bullet-point soundbites which makes me think the quote is more recent then vintage. It’s from an interview with Danny Peary, that appeared in Omni’s Screen Flights/Fantasies in 1984. Bated breath for Blade Runner 2… but at least Hampton Fancher is apparently writing it. Really, I wouldn’t have thought that. Well then I’ll chalk that up to GENUINELY “progressive”. its not that I think that concept itself is irritating. Its that he would START from that. Instead of just letting a script grow organically and getting the best script that he can before worrying about the gender of the protagonist. IMO ridley thinks more like a producer these days then an artist or director. He’s become the kinda guys who used to pick on ridley. But I guess that is kinda how it works isn’t it. I wonder if Ridley will let him write a script this time. I haven’t compared them in awhile, but I seem to recall there being nothing wrong with Hamptons BR draft, and that everything became more confusing and messy after he had it re tailored. I’m sorry but I’m still hoping that it doesn’t happen. Its just not a good idea IMO.